Te Lintelo Systems is your partner for Optical lenses made to your special needs, includes various coatings, mirrors, lenses, windows, prisms, polarizing optics, UV and IR optics, optical filters. 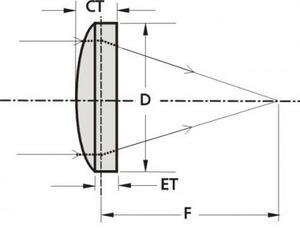 These lenses focus parallel beams to a light spot. This spot is a real image that can be projected on a screen or manipulated with a space filter like a diaphragm. 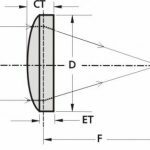 The asymmetry of a plano-convex lens minimizes spherical aberrations when either the object distance or the image distance is more than 5 times the other. 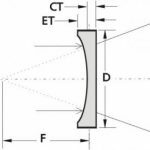 To minimize aberrations a plano-convex lens should be placed with the plane side pointing to the closest conjugate point – an object or an image whatever is closer.